Just in case you missed it. They've got some pretty neat stuff coming this year! at which to discuss all these new masks once we start scoring them. Thanks for the post, Symbi. Anytime Maskahuna. Hopefully, we'll attempt to pick up where we left off over at the UMA. I'm on their mailing list, and today they sent out some updates. Not much here for me -- and they're still only teasing the new Myers mask -- but enjoy! "You're dead, son. Get yourself buried." 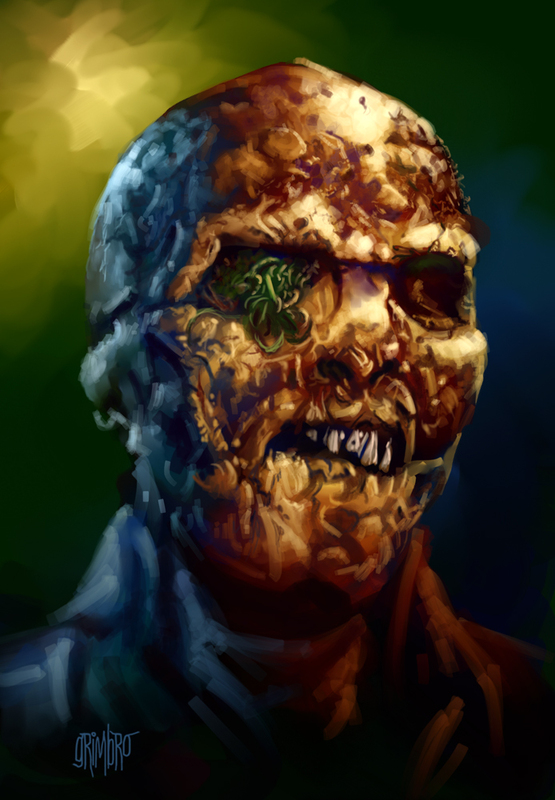 Looking forward to the Tarman mask and the DOTD Hare Krishna Zombie. I know they've been totally swamped with questions, comments, and complaints over the good guy doll and the new Myers mask...but I wonder what happened to all the Pumpkinhead stuff that was coming this year? We were supposed to see not only hands, but a full-size prop. Also, a little birdie who spoke to them at Mask Fest last year, said that they had Ghoulies puppets coming this year. I'm guessing that's all being put on hold. From the teaser photos that just came out this week, the Myers mask might be worth picking up -- assuming the movie is any good. 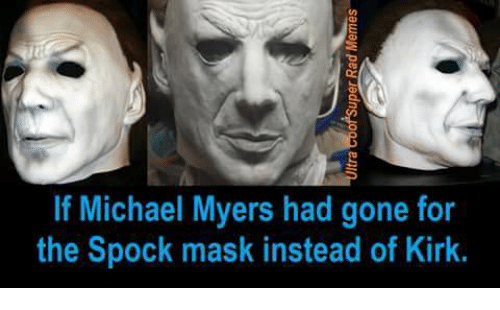 Per their website, "This mask comes directly from the movie master and is an exact replica of the mask worn by Michael Myers in Halloween 2018." Interesting times we live in. People would KILL for an original casting of the Kirk mask from the original movie. Here's an opportunity to get in on the ground floor of owning as close to a movie prop as possible. I'm taking a gamble and have pre-ordered the new Myers mask after all. Because it'll be cast from the movie mold, I want to be in on the ground floor of the first batch, in case the mold smooths out over time. I just hope I like the hair. They've been posting pics of production copies on Facebook and they are looking good so you should be happy. The fan anticipation for this mask has been high so I'm sure they don't want to screw this up. My pleasure Doh! Man, I hope they make this Nubbins prop from TCM2. I'd love to have one. Not sure this is worth a new topic, but the 2019 catalogue is now available. The new Myers mask (of the original movie) looks good, but I need to see it in person before getting one this time. Their 2018 version of the rebooted sequel is horribly small! And not much else there interests me this time.